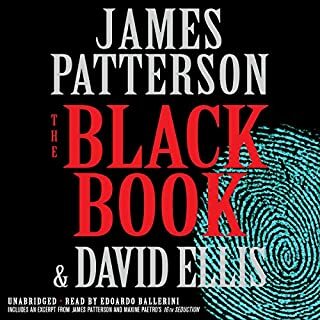 What did you love best about The Black Book? Outstanding story line with turns and surprises from beginning to end, The narration could not have been better in voice, accent and complete fit with the character telling the story in the first person. I hated to hear it end. I have not heard Edoardo's other narrations, but he was truly perfect for Billy Harney, the main character. What disappointed you about The Edge? The story line was at times interesting if not Illogical and even preposterous but the innappropriate dialogue between characters was so childish it was painful . I had the distinct feeling I was reading a novel written by a 8 grader. The narration was most annoying making the overall experience too much to endure. Sorry, but this one is not worth further discussion. Has The Edge turned you off from other books in this genre? 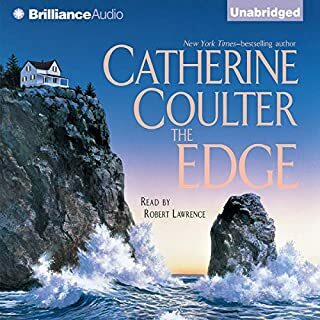 If the Edge is typical of Catherine Coulter's writing, it will be my last read. It is April 1943, and Marine aviator Cletus Frade, Army demolition's wizard Anthony Pelosi, and communications expert David Ettinger are thrust again into the lethal nest of intrigue that is wartime Buenos Aires. A clandestine German vessel sets sail to resupply submarines in the South Atlantic...as a massive shipment of money earmarked for postwar Reich makes its way to South America...and a coup designed to topple the government reaches critical mass. In the midst of it all, the German-ordered assassination of Cletus Frade's father demands only one response: revenge. 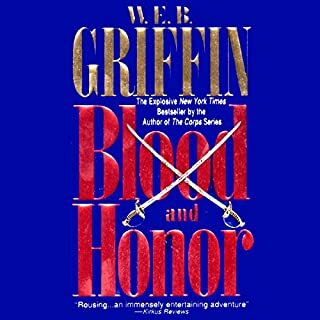 What did you love best about Blood and Honor? 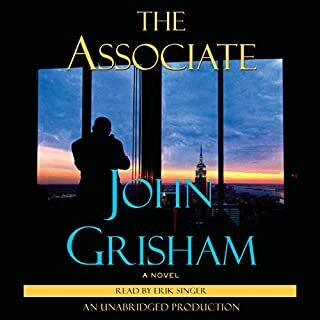 The story continues to build on the first book of the series in a logical but interesting way continuing ot develop existing characters and adding new ones. The historical premise is fascinating and I suspect not far from reality and perhaps a good, bad and evil microcosm of a world at war . Unfortuneately, the narration was, even in the faster speed setting of my ipod, painful to endure. The way too often repeated and labored pronunciation of German and Argentinian military titles was tortured and got in the way of the flow of the story. So distracting in fact I contemplated just giving up many times during the 4 parts. The story was however sufficiently interesting, despite the narration, to continue to the end.....at which point it was kind of like taking off ski boots. A very interesting and creative premise that was given a ho-hum treatment. The energy dribbled out the story with each new page until it finally seemed to be just "wrapped up" for convenience of the author. It could have gone in a number of far more interesting directions and been a great read. It didn't and it wasn't. 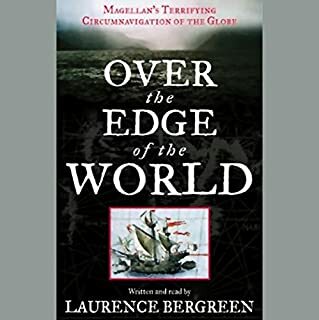 This is the first full account in nearly half a century of this voyage into history: a tour of the world emerging from the Middle Ages into the Renaissance; a startling anthropological account of tribes, languages, and customs unknown to Europeans; and a chronicle of a desperate grab for commercial and political power. It is as if the author published his research with out ever having the chance to sort out what is and what is not relevant or interesting. What's more, the narrators wimpy voice is perfect in catching the author's academic and pedantic tone. And wouldn't you think that the narrator would have been selected based on even a passing ability to pronounce Spanish and Portugese words and names? His murdering of the phonetics is so distracting: you wonder what the publisher was thinking. There is no entertainment here and it is only useful if YOU are doing a term paper. Otherwise don't go near it.